I previously wrote (link here) about the long-running and contentious dispute between Société des Bains de Mer et du Cercle des Etrangers à Monaco (“SBM”), the owner of Le Casino de Monte-Carlo (pictured above), and MGM Mirage, Inc. (“MGM Mirage”) and its subsidiary, Victoria Partners, L.P. (“Victoria Partners”), the owner of the Monte Carlo Resort and Casino in Las Vegas (pictured below). On March 28, 2008, SBM filed a lawsuit against MGM Mirage and Victoria Partners (the “Defendants”) in the U.S. District Court for the Southern District of New York over the Defendants' use of the MONTE CARLO name. See Societe Anonyme Des Bains De Mer ET Du Cercle Des Etrangers A Monaco Cercle Des Etrangers A Monaco v. MGM Mirage, Inc. et al, Case No. 08-cv-03157 (S.D.N.Y.). MGM Mirage and Victoria Partners filed a motion to dismiss the case for lack of personal jurisdiction and for failure to state a claim or alternatively to transfer the case to Nevada District Court. On November 24, 2008, United States District Judge Harold Baer, Jr. denied the motion. The court found that the Defendants were subject to personal jurisdiction in New York under New York’s long-arm statute (N.Y. CPLR §302(a)(1)), on the basis that the Defendants transacted business in New York through its highly interactive http://www.montecarlo.com/ website which allowed a New York resident to book a flight (the website had a drop-down menu with a finite list of potential departure cities which included LaGuardia and Kennedy), book a room at the Monte Carlo, and to sign up for a Monte Carlo players club account. Moreover, SBM’s claims arise from Defendants’ transaction of business in New York through the use of the MONTE CARLO mark on the website which SBM contends suggests a connection between Defendant’s Las Vegas casino and SBM’s Casino de Monte-Carlo. Finally, the court found that the Defendants, by transacting business in New York, purposefully availed themselves of the privileges of this forum, and thus it does not offend “traditional notions of fair play and substantial justice” to force Defendants to defend against SBM's claims in New York. MGM Mirage attempted to dismiss the complaint against it on the basis that SBM failed to allege direct unilateral action by MGM Mirage in the infringement of SBM’s trademark rights. However, the court read the complaint “generously” and noted that it did cite MGM Mirage as being a direct actor by maintaining the Monte Carlo website. On the basis, the court denied MGM Mirage’s motion. The defendants next argued that SBM’s lawsuit was barred by laches. The court noted that while laches is normally an affirmative defense (and not appropriate for a motion to dismiss), a “court may consider the defense of laches on a motion to dismiss ‘[w]hen the defense of laches is clear on the face of the complaint, and where it is clear that the plaintiff can prove no set of facts to avoid the insuperable bar.’” (quoting Lennon v. Seaman, 63 F. Supp. 2d 428, 439 (S.D.N.Y. 1999)). The Second Circuit applies New York’s six-year fraud statute of limitations to Lanham Act claims to determine which party bears the burden of proof with respect to the laches defense. 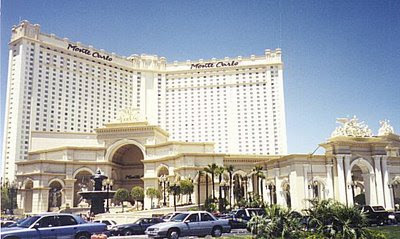 The Defendants argued that SBM had knowledge of Defendants’ use of the MONTE CARLO trademark when the hotel/casino opened in June 1996, but waited until 2008 to file an action – long after the six year statute of limitations had expired. I find that dismissal based on laches at this stage of the litigation would not be proper because even if the instant action was filed after the applicable limitations period, Plaintiff’s Amended Complaint alleges intentional infringement, a set of facts that, if true, would avoid application of the laches defense altogether. Hermes Int’l v. Lederer de Paris Fifth Ave., Inc., 219 F.3d 104, 107 (2d Cir. 2000). 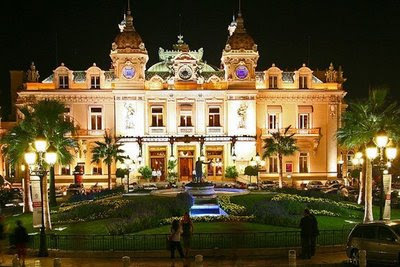 SBM’s allegations of Defendants’ willful infringement included Defendants’ representations to the United States Patent and Trademark Office that the name Monte Carlo was selected in order to invoke the image, in the minds of its consumers, of the real Casino de Monte Carlo. Based on SBM’s allegations that Defendants’ trademark infringement and dilution was willful and intentional (which if true would bar the defense of laches), the court declined to invoke the equitable doctrine of laches at this stage of the case and denied the motion to dismiss for failure to state a claim. Finally, the court chose not to transfer the case to Nevada – finding the convenience factors either neutral (not favoring either party) or not weighing heavily in favor of transfer. As such, the court denied the Defendants' alternative motion to transfer the case to the District of Nevada.